Mozart and Beethoven are two great contributors to the classical music world. I love their talents, and I choose their piano music to relax after every stressful workout, or simply relax in spirit, clearing away the quiet space. I also try to practice playing the piano and wish someday I could play Beethoven’s Sonata Moonlight. But maybe, I can play that song more easily with the game Dream Piano Tiles 2018 – a music game that helped me do that, right on my phone. Do you want to play your own symphony of art, as an artist? Dream Piano Tiles 2018 – Music Game is a game that will turn you into a real musician. You can play piano music easily through a simple gameplay system. First, you need to select a track, then the most play button to start playing. Then, on the screen appears the notes, drifting from the top of the screen down. At this point, you need to be quick to click on those notes, to make the melody of your music — every time you pass a chord, the speed of the songs are pushed up a little higher. So, when you’re new to the game, choose a simple, not too fast, to get familiar with the gameplay. Although the gameplay is quite simple, to win high scores is not easy at all. Each time you finish playing a stage, you will get exp to level up, and some notes are corresponding to the score you gain. 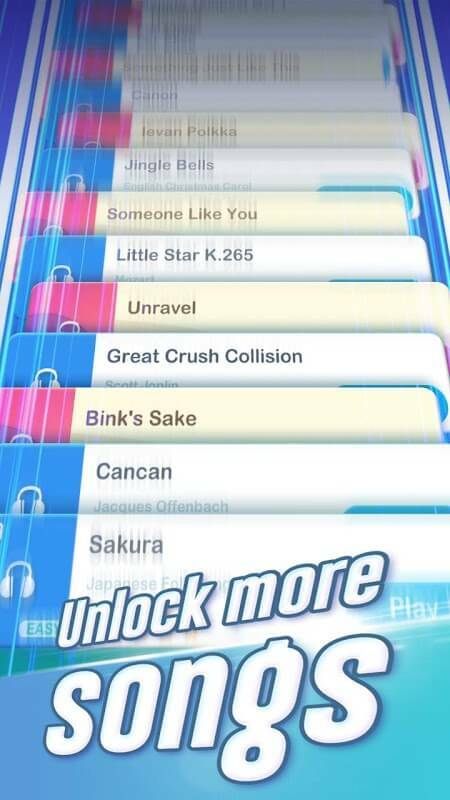 You can use these notes to unlock individual tracks in the Songs function. The system offers a lot of famous music of Mozart, Beethoven, Yiruma or even Anime songs for you to play well. However, you need to have a higher level to unlock them. So, work hard, to have more exciting music! Being a pianist does not seem to be a problem anymore when you have the Piano Tiles 2018 – Music Game. This game has a pretty simple gameplay system and exciting music. 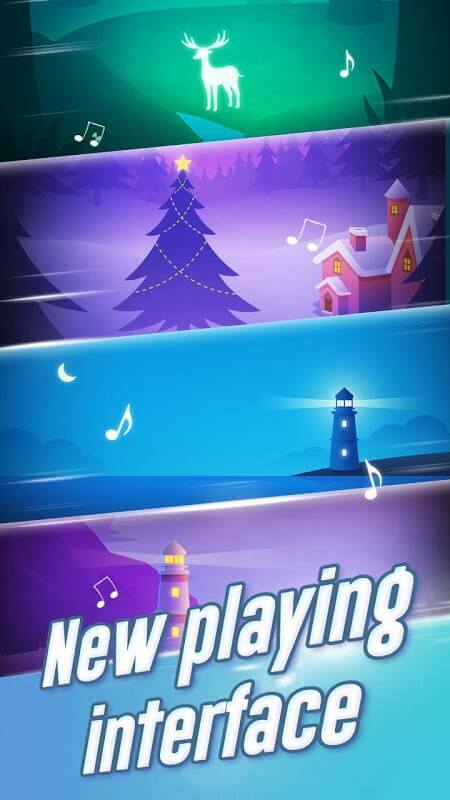 At times of boring, or no internet connection, you can start playing this game and play your favorite piano music. 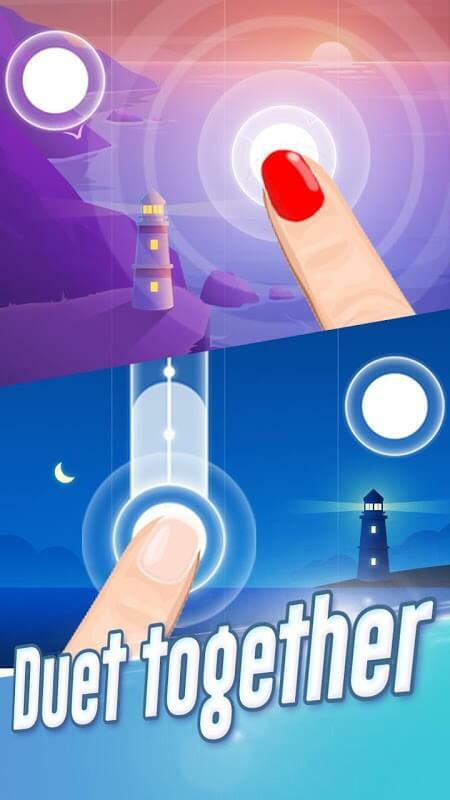 The sounds of Dream Piano Tiles 2018 – Music Game is handled quite well, and clear, contributing to your song soothing, make your spirit to relax. Do not hesitate anymore; this attractive game is free to publish it. Download and experience now.